Michelin Latitude X-Ice Xi2 is a non-studdable winter tire for SUVs, vans, pick-ups and 4x4. A sensible choice optimizing road handling in winter! 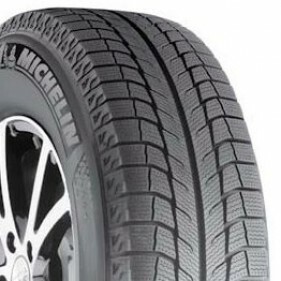 The Michelin Latitude Xi2 XIce is a high-end model of ice and snow tire for SUVs and Crossovers. Designed to provide a safe road handling in various winter conditions, the Latitude Xice-Xi2 also provides excellent ride comfort, a quiet ride and outstanding traction on icy or snowy roads. 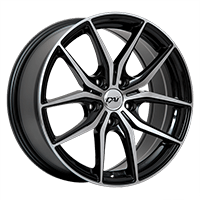 Tires Latitude X-Ice Xi2 Michelin are covered by a limited 60 000 km warranty against the wear of the tread, in addition to the normal warranty on manufacturing defects and raw materials. Michelin also provides a 3-Year flat tire changing assistance. Thanks to the larger contact surface of the tread, the Michelin Latitude X-Ice Xi2 provides braking power and even acceleration in addition to an excellent cornering capacity for an excellent road handling in winter conditions. The Michelin FleX-Ice rubber compound of the tread retains its flexibility in cold weather and conserves a good firmness in milder temperatures to ensure a better grip in snow and slush and on wet and dry ice surfaces. 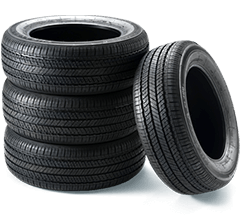 Being molded into a directional tread pattern that helps evacuate water, this compound also improves resistance to hydroplaning. Designed with interlocking zigzag 3D sipes, combined with micro-pumps, the Latitude XIceXi2 provides better stability and traction in all conditions. In addition, these ribs and micro-pumps are full depth: they retain their durable biting edges winter after winter. A comfortable and quiet ride, even in winter conditions! Thanks to the computer optimized design and precision manufacturing Michelin is recognised for and to the Comfort Control technology, the Latitude X-Ice 2 offers one of the most comfortable ride in the industry significantly reducing vibration and road noise , in addition to providing good a long service life. Michelin Latitude X-Ice Xi2 is consistent with Quebec's Bill 42.